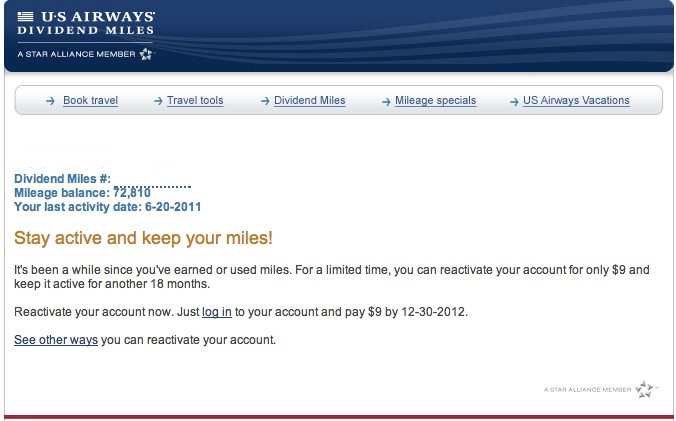 USAirways requires you to stay active on their Dividend Miles account by either depositing or redeeming miles once every 18 months. Otherwise you’ll forfeit your USAir miles. 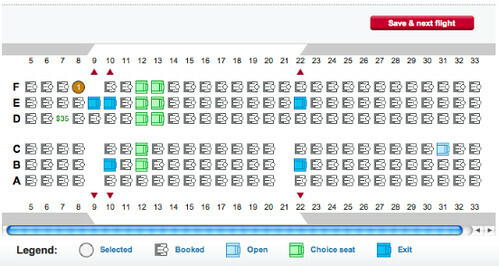 American, United and many other major US airlines have a similar policy. Unfortunately I forgot to keep my USAir Dividends Miles active as I have been banking all my USAir flight miles on United for the past two year. Alternative you can bank your rental car activities to your USAir Dividend Miles account. However you’ll have to pay a small mileage deposit fee to the car rental company. 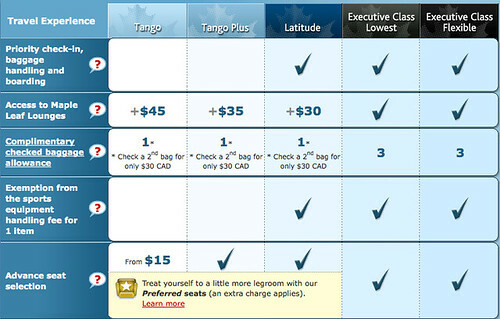 Here’s a previous post regarding how you can avoid paying the frequent flyer mileage charges on your rental.